LASALLE, Ill. — If history is any indication, drivers from Illinois and Iowa will be tough to beat in the $15,000-to-win finale of the March 29-30 Thaw Brawl presented by Hoker Trucking at LaSalle Speedway. Residents of the neighboring Midwest states have owned the featured attraction of the high-banked, quarter-mile oval’s season-opening blockbuster since its inception in 2012. Three standouts from the Land of Lincoln – Dennis Erb Jr. of Carpentersville, Bobby Pierce of Oakwood and Brian Shirley of Chatham – and two Hawkeye State stars, Brian Birkhofer of Muscatine and Chris Simpson of Oxford, have captured the Thaw Brawl’s Saturday-evening headliner, which has been contested six times. The only driver not hailing from Illinois or Iowa who has reached victory lane during the Thaw Brawl weekend is West Virginia’s Josh Richards, who topped 2017’s Friday-night preliminary A-main before Saturday’s main event was rained out and not rescheduled. Erb holds the distinction of being the only two-winner winner of the Thaw Brawl finale after claiming the $5,000 first-place prize in the inaugural race in 2012 — the only year that a five-figure victor’s check wasn’t offered — and again in 2014 when the payoff rose to $15,000. Pierce and Shirley were triumphant in 2015 and 2016, respectively, to cap perfect $20,000 weekends in which they swept the Friday and Saturday features, while Birkhofer earned $10,000 for grabbing the checkered flag in ’13 and Simpson pocketed a career-high $15,000 for his score in last year’s 75-lapper. Will the superiority of the Illinois and Iowa contingent continue during the 2019 Thaw Brawl, which kicks off with a 50-lap, $5,000-to-win A-main on Fri., March 29, before concluding with the 75-lap, $15,000-to-win feature on Sat., March 30. Erb, Pierce, Shirley and Simpson are all expected back to chase another rich victory as well as other home-state talents like Shannon Babb of Moweaqua, who won last year’s Thaw Brawl preliminary feature, Brandon Sheppard of New Berlin, Jason Feger of Bloomington, Ryan Unzicker of El Paso and Frank Heckenast Jr. of Frankfort, but drivers from other states are primed to challenge them. Tickets, reserved motorhome camping spots and VIP parking are now on sale for the Thaw Brawl presented by Hoker Trucking, which also includes complete programs on both March 29-30 for the American Ethanol Modified Tour presented by All-Star Performance, IMCA modifieds and sport mods. 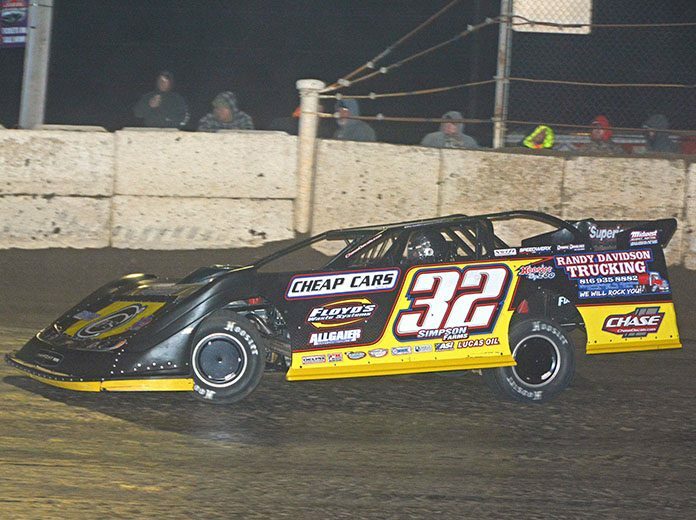 The American Ethanol Late Model and Modified action will be contested under UMP DIRTcar rules and regulations while the IMCA modifieds and sport mods will utilize IMCA rules. The rain date for the weekend is March 31 or April 12-13.